Carl Tremarco is the new Caley Thistle captain. Caley Thistle have named Carl Tremarco as the club’s new captain. 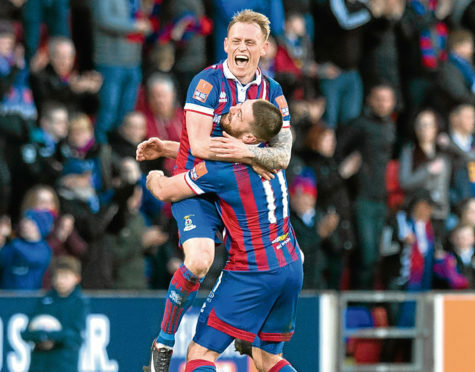 Tremarco, who has made 139 appearances for the Caley Jags since joining from Macclesfield Town in 2013, succeeds Gary Warren, who left the club to join Yeovil Town last week. Aaron Doran has been named as his vice-captain. The Irish winger is one of the longest-serving members of the team. He joined Inverness from Blackburn Rovers in 2011. He has scored 26 goals in 195 appearances. The Caley Jags take on Nairn County in a friendly at Station Park tomorrow night before visiting Clach the following day.